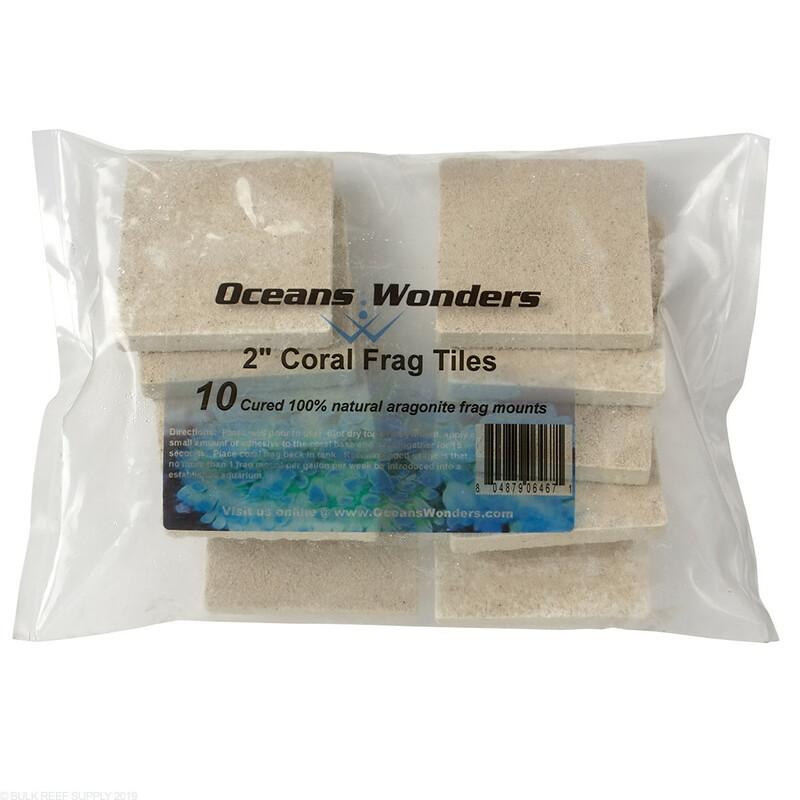 Oceans Wonders Coral Frag Tiles are designed to sit next to each other with no gaps allowing corals to grow and spread across them. The square shape of the frag tiles is great for encrusting corals like montiopora, acropora, zoanthids, or other corals that will grow across a surface. 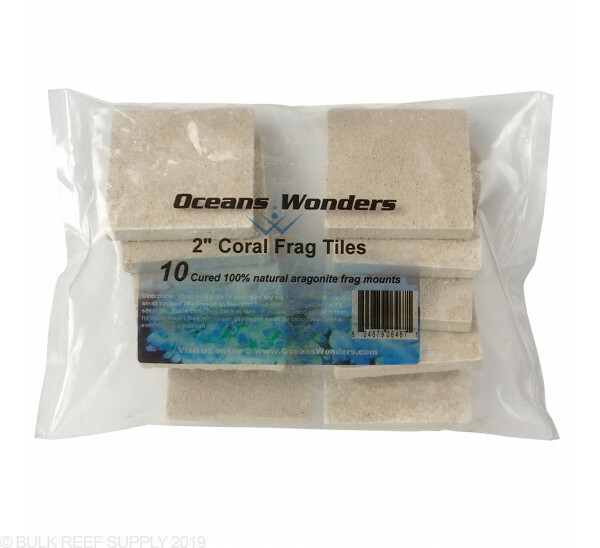 We like to place a handful of tiles in a cluster, and then affix the coral in the middle so it can spread onto other tiles. 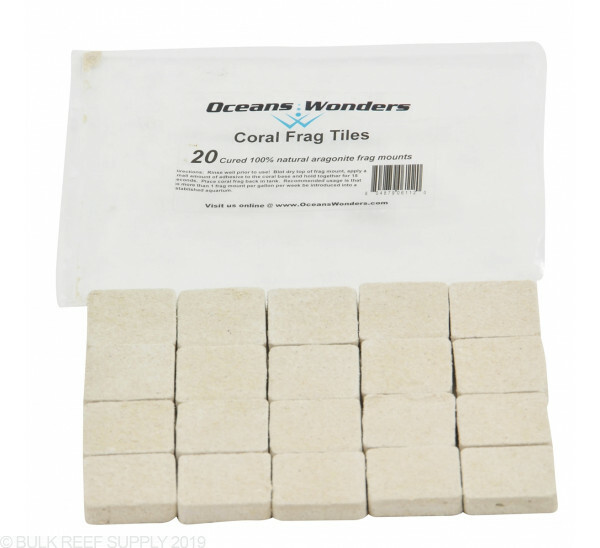 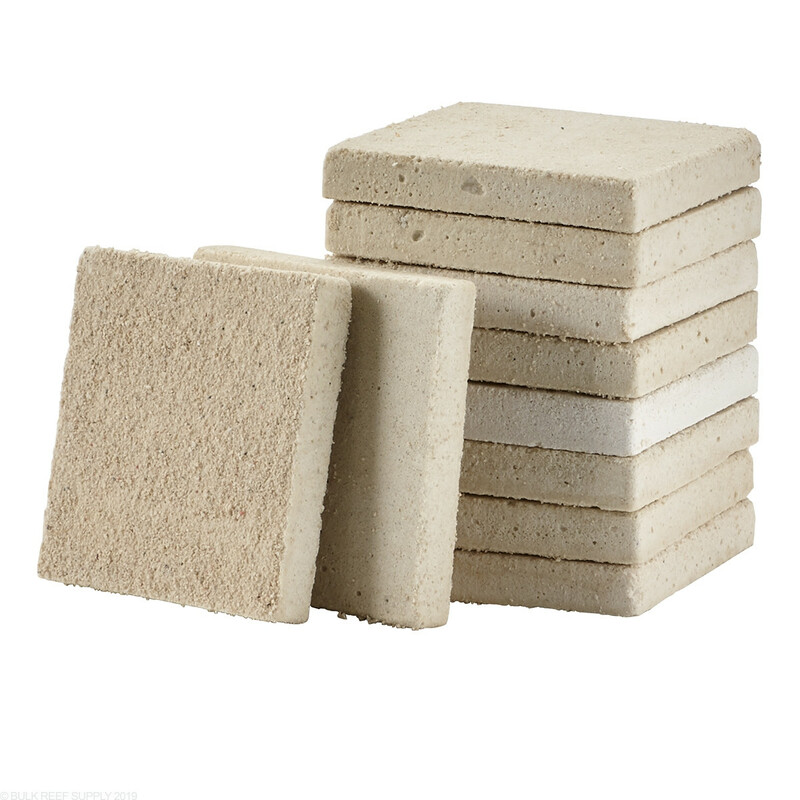 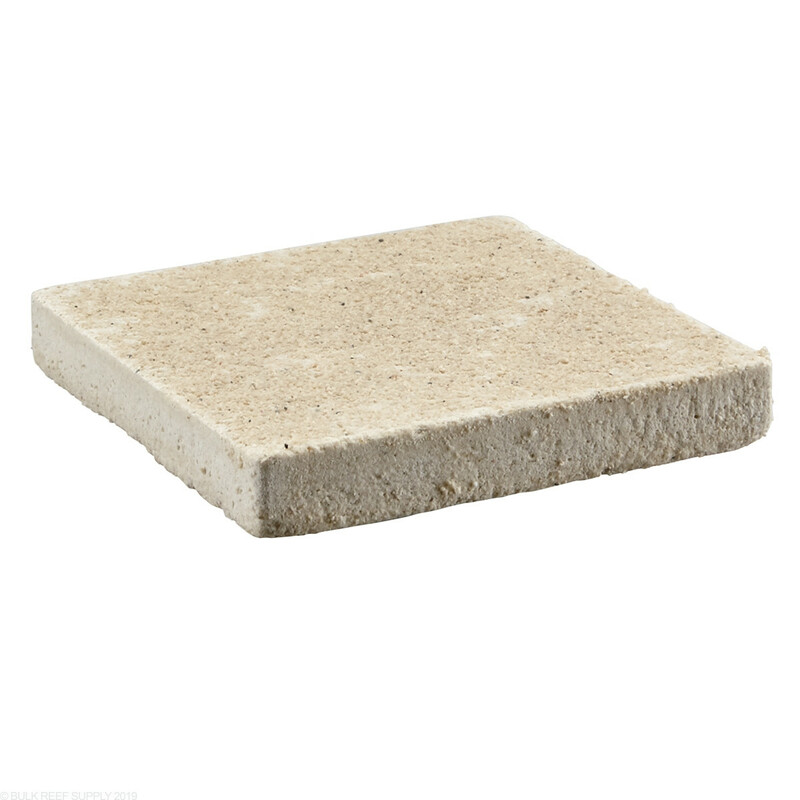 Oceans Wonders Coral Frag Tiles are made with a special grade white reef sand that is fused together. 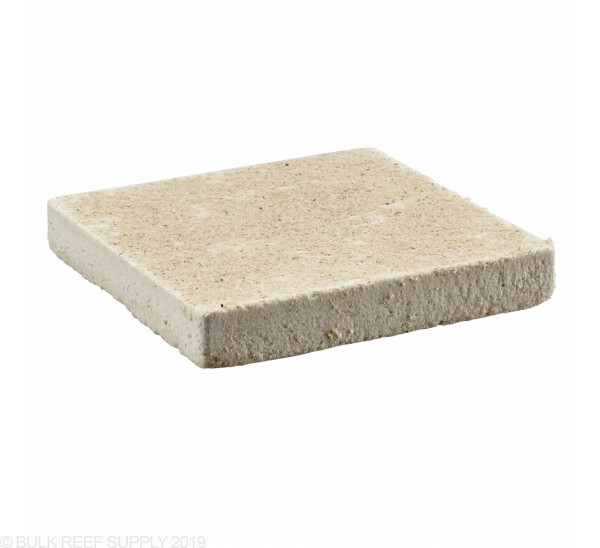 The natural calcium based sand helps encourage the spreading of corals and coralline algae. 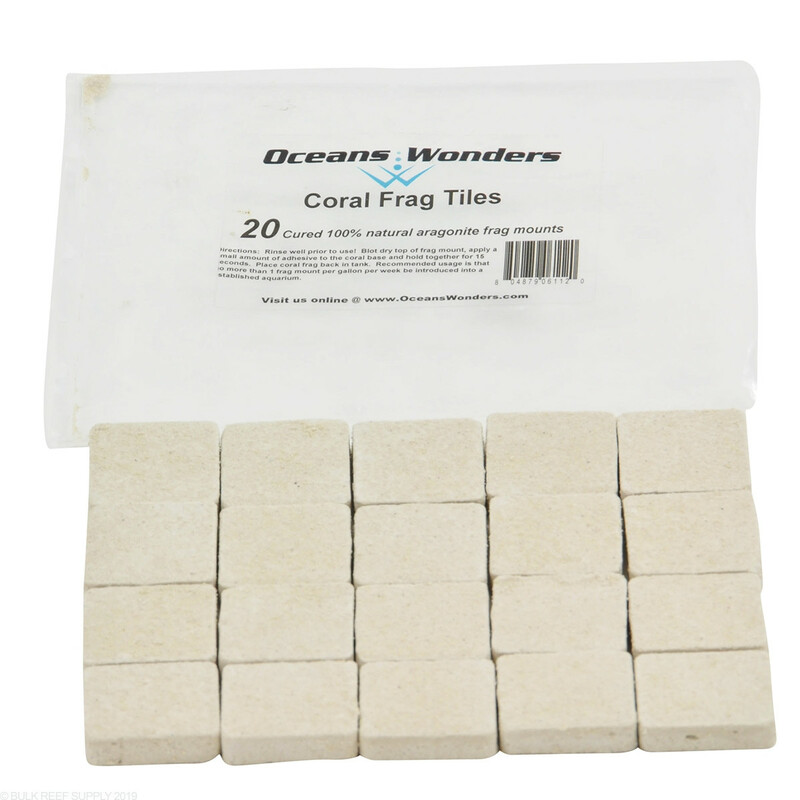 We do suggest curing all non-ceramic frag tiles for the best results.